A properly installed IP camera can reliably record HD video to a server or the cloud, allowing quick reference and the ability to be viewed and managed externally. With IP cameras, video can be recorded offsite of the main deployment which aids critical data security. Superior to the older analog (coax) systems in many ways, new IP cameras provide higher video quality and resolution – allowing you to zoom in and identify events more easily. Here at Isosceles, we work with all types of IP camera on the market and can provide the infrastructure required to properly install and run these systems. IP Cameras are easier to set up on existing networks and allow you to run other systems that use data networks over the same cabling installed for cameras, such as a wireless access point. 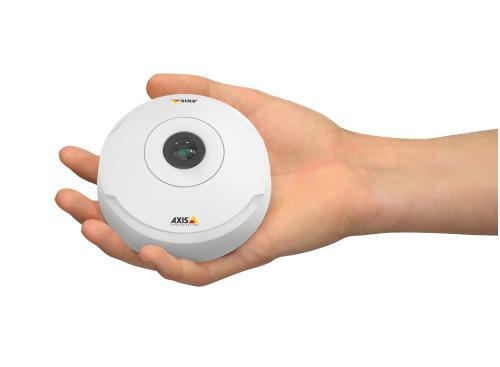 Isosceles partners with Axis Communications and Ascendent Technology Group for IP camera systems. Isosceles helped us properly monitor our operations, greatly reducing instances of theft, and providing the tools required to manage our business operations from a central location, greatly increasing productivity and lowering costs. Isosceles can work with and provide support for most analog cameras on the market, including the installation of the surrounding infrastructure required to properly run these systems. Analog cameras allow you to reliably capture video to a Network Video Recorder (NVR) and are able to be viewed and managed externally. We can provide recommendations to upgrade your older, lower-resolution camera systems with modern components, yet using the same coax data lines that are already installed.